Some of its furniture and property burnt down. 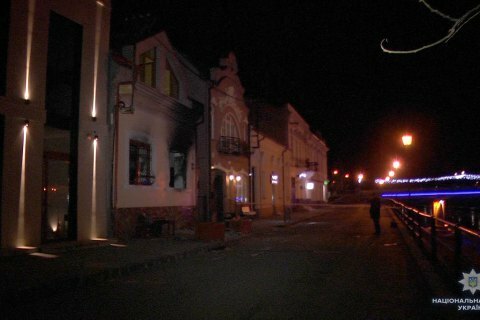 The Transcarpathian Centre of Hungarian Culture in Uzhhorod caught fire last night. The local emergencies service said that 25 sq.m. of the office, including furniture, was destroyed by fire. It said that firefighters extinguished the fire 50 minutes after it broke out. Police opened a criminal case on the count of "deliberate destruction or damage of property as a result of arson, explosion or other dangerous way, which caused especially gross damage to property". A petrol bomb was thrown at the Hungarian Culture Centre on 4 February. The Hungarian government immediately asked the OSCE to protect Transcarpathian Hungarians. Ukrainian law enforcers blamed the arson attack on two Polish radical nationalists. Donetsk separatists arrest "energy minister"